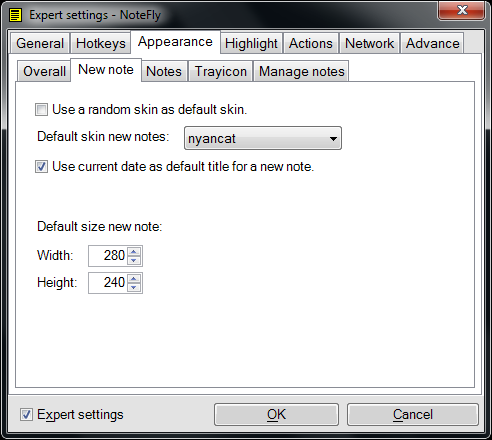 Create beautiful notes in the skins you want. Create lists in a note for example your shopping list. Make thing that are important bold, italic or underline them. 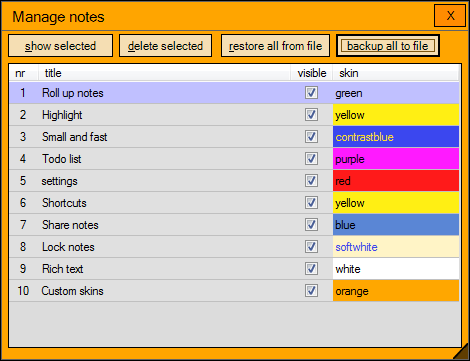 With the manage notes window you can easily decide which notes to show and which you would to removed or keep them for later. 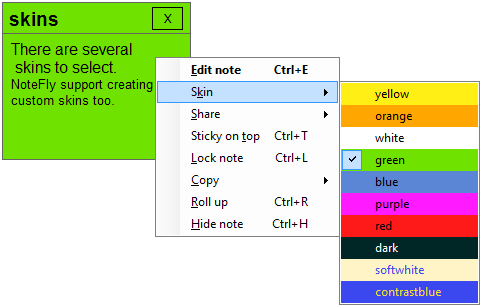 If you code, you will love the helping highlighting colors. 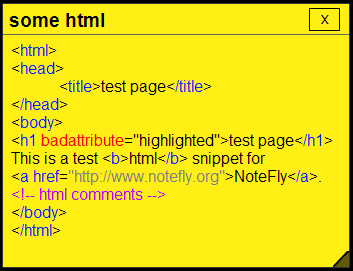 NoteFly can highlight PHP, HTML and SQL snippets. to download and doesn't use the windows registerty2. 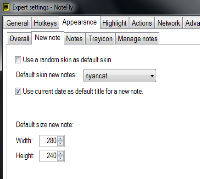 NoteFly is highly customizable with lots of settings and NoteFly can be extended with plugins. and free to download and use. 1.NET Framework 2.0 required, windows Vista and Windows7, Windows8/8.1 support this by default. 2 Except for running NoteFly on Windows logon and registering at windows software control panel.